President Obama holds a surprise briefing as Mitt Romney and Paul Ryan appear in New Hampshire. WASHINGTON – Denounced by his Republican rival for divisiveness, President Obama on Monday defended the tone of his campaign in a combative election year and insisted it’s actually Mitt Romney’s ads that are “patently false.” But Obama did distance himself from a particularly provocative negative ad by a political group that supports him. Obama made a surprise visit to the White House briefing room, at least partly upstaging a joint campaign appearance by Romney and his running mate, Paul Ryan, in New Hampshire. The rally by Romney and Ryan, their first appearance together after a week of vigorous campaigning separately, had been highly anticipated, drawing an enthusiastic crowd and wide media attention. The president turned the day into a long-distance point-counterpoint debate with his opponent. He took questions from four reporters, the most he has taken from the national press corps in two months, dealing to an extent with complaints about his inaccessibility. Still, he distanced himself from an ad by the pro-Obama Priorities USA Action super political action committee, which is run by former Obama White House aides. That ad pointedly notes the death of the wife of a steelworker whose company had been taken over by a group of partners that included Bain Capital, the private equity firm that Romney cofounded. “I don’t think that Governor Romney is somehow responsible for the death of the woman that was portrayed in that ad,” Obama said. But he added that he did not approve or produce the ad and said it had had only a brief airing on television. Romney and Ryan, appearing together for the first time in a week, sustained their criticism Monday, leveling new claims of duplicity in Obama’s TV ads before a friendly crowd of about 3,000 people in Manchester. 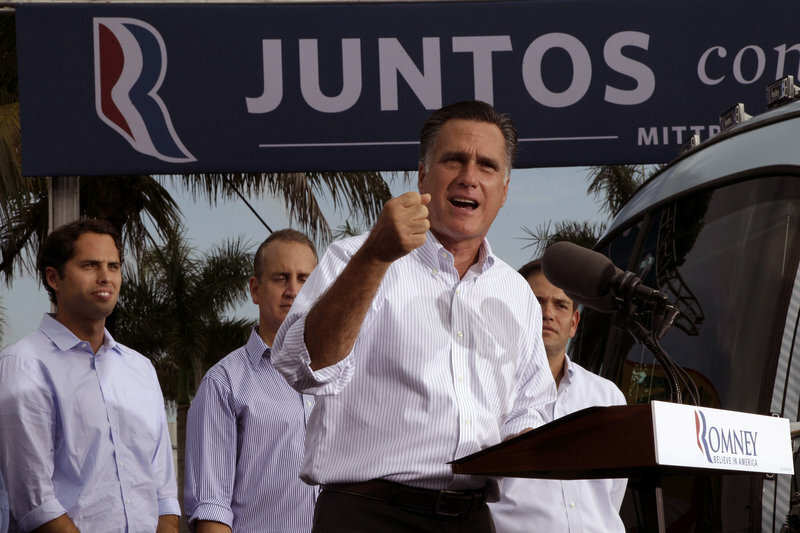 “It seems that the first victim of an Obama campaign is the truth,” Romney said. 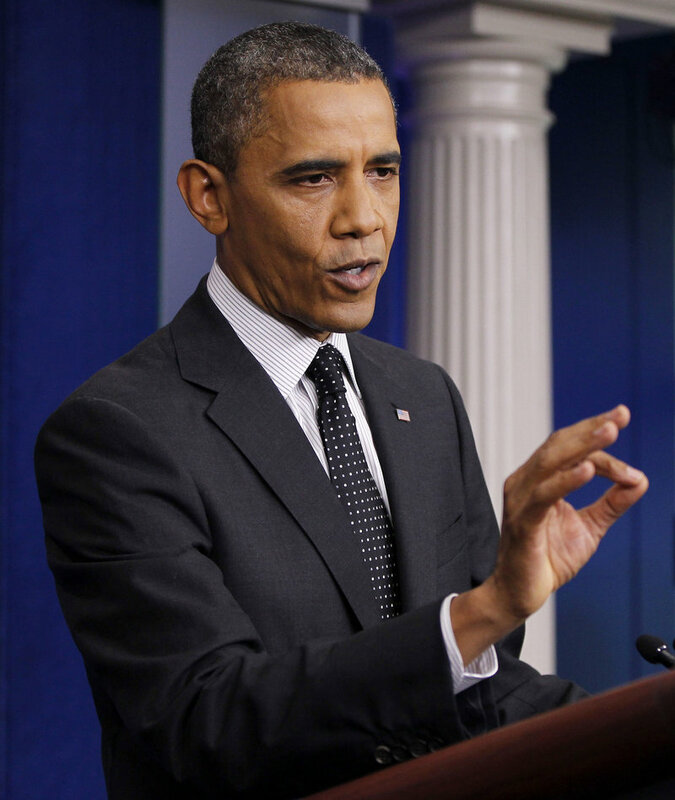 In his news conference, Obama countered, saying his speeches and the ads run by his re-election campaign have focused accurately on substantive issues such as taxes and spending. By contrast, the president said, Romney has aired “patently false” claims that the president is “gutting” welfare’s work requirement. Obama said he has “sharp differences” with Romney on major issues and that those are fair game for tough ads. Even so, he added, “Nobody accused Mr. Romney of being a felon,” as some Republicans have suggested of Obama. However, Obama deputy campaign manager Stephanie Cutter earlier this summer said that questions about when Romney left his post as head of Bain raised issues of potential illegal activity. In New Hampshire, Romney and Ryan made a multi-pronged case against the administration, saying Obama’s policies on taxes, Medicare and foreign policy have let down the American people. The GOP running mates promised a sunnier future of lower taxes, lower deficits, more jobs at home, and greater U.S. prestige abroad. But they offered few details on how they would achieve these goals, which have vexed Congresses and White Houses for years. Romney’s pledge not to raise anyone’s taxes while also reducing federal deficits is one of several promises he has made that many independent analysts have questioned. He said tax cuts lead to greater economic growth, which in turn brings greater overall tax revenues to run the government. The burden on U.S. taxpayers, as a proportion of the overall economy, is lower than it has been in several decades, but the nation’s debt is at a record high.